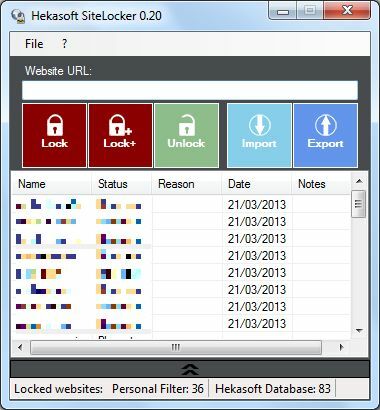 Hekasoft SiteLocker provides additional security to Firewall and Antivirus while browsing online. With SiteLocker you can easily block websites, you need only to write the address to block and click on lock. SiteLocker have a database of malicious sites for your computer (viruses, malware) or you (fraud) to which block access, so keeping your computer safe from fraud or malicious software. 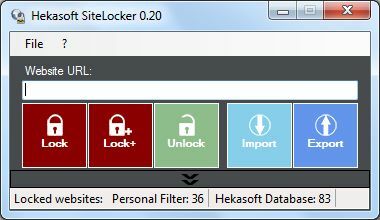 SiteLocker is divided into two parts, the first updated by Hekasoft with the database of malicious sites, and the second managed by the user, from which you can easily lock or unlock any website.